This title, first published in 1984, is a study of E. M. Forster as a liberal-humanist thinker and socio-literary critic. 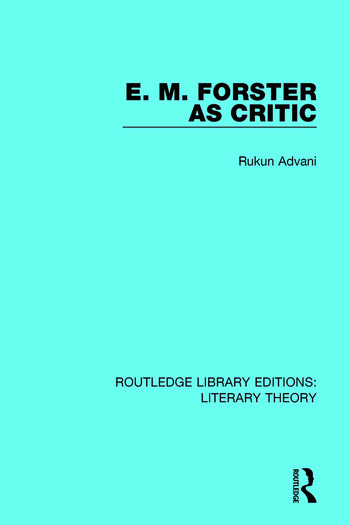 Advani discusses Forster’s ideas on man, society, politics, religion, art, aesthetics, fiction and literary criticism. The author examines why Forster was impelled from fiction towards socio-literary criticism and propaganda for art within the political and cultural context of post-Great War Britain. The book argues for Forster’s continuing importance as much more than a skilful novelist. It will be of interest to students of English cultural history, literary theory and criticism, and the work of E. M. Forster.